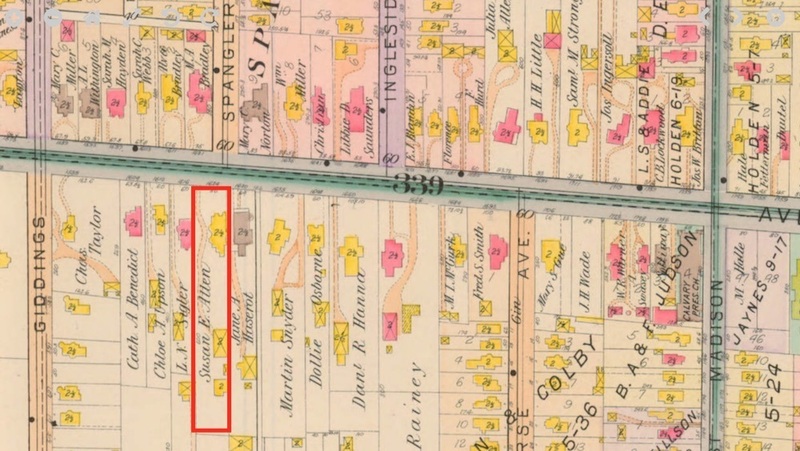 This section of the 1898 Atlas of the City of Cleveland identifies the names of the elite families who resided on Euclid Avenue from Giddings Avenue (East 71st Street) to East Madison Avenue (East 79th Street) in that year. The Allen's property is outlined in red. In the same year that this map was published, Richard N. Allen's widow, Susan, sold the property to the wife of Jeremiah J. Sullivan, the founder of Central National Bank in Cleveland.